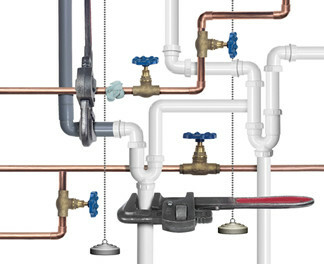 The heart of all heating and plumbing installations lies in the quality of the pipes and fittings used. These components are constantly being stressed and tested time and time again with varying pressures and temperatures. We believe in using the best quality materials available today in the world. All our pipe carries a 50 year warranty and certificates are available on request. You can trust us when it comes to quality product at a quaity price. We have 47 years experience in the heating and plumbing industry, some would say its a lifetime! Enjoy our products.